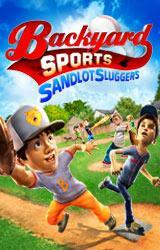 Sandlot Sluggers offers hours of entertainment with laugh out loud comedic commentary and exaggerated animations for a one-of-a-kind gaming experience. The game is packed with loads of surprises and stars a neighborhood full of fun and diverse kids both fan favorite characters and new friends. Improved 3-D graphics, cool power-ups, and special next-gen features provide the kind of turbo-injected gameplay that will keep you swinging for more. Enter the never before seen Story mode and become a backyard legend. 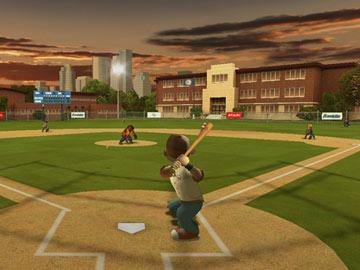 Playing baseball has always been a pleasure to play at any console, but unlike the Wii console, the PC version of the game offers a bit easier accuracy control that was bugging the Wii console. From past editions we can see how the game has evolved. As for the PC, the characteristics of this game were mostly charming and stylish. 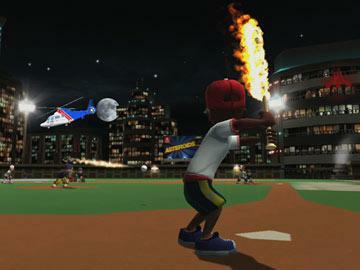 This baseball was pretty much meant only for kids, as the characters in the game were kids. These were some of the features of the game, that attracted the audience big and small (young and old). But unfortunately for us, the players, from one version to another the game has made a few steps back and one step forward. This version of the game shows plenty of potential for future development with the new approach to the game. Even though we are dealing with unfamiliar teams, as the developers didn’t buy the license to use the names of the kids from the baseball minor league, they concentrated more on improving the game core play, to achieve better game experience. What’s changed in the games graphics is that the characters that were cute animated children aren’t so cute anymore, as it seems they have grown up a bit since the last time we saw them. What made this game so special in the first place isn’t there anymore, and like previously said; the only possible solution left is to concentrate on something new. But let’s talk a bit more on the gameplay itself. The game offers four modes of gameplay: “pick-up”, Season, Story and Multiplayer. “Pick-up” is the main game mode more familiar as exhibition mode to play a game. In this mode the teams are pre-made with each of the teams, characterizes one of the Backyard players. The Season mode of the game is something more familiar to the fans of the game as here you chose your own teams and put to them together. This mode was also a characteristic that marked the past releases. The story mode of the game is a bit more different than the other modes as it introduces some factors that tell a story about this game, like a bully playing baseball and harassing everybody on the field and also teaching other how to play this game by the rules. In this mode there are also a couple of cut scenes about the story, but too bad that the cut scenes are pretty poorly, with very low resolution in the game. The mode also hosts a couple of two narrators that are so old, they made the game a bit weird, but in a good way. The actual gameplay is not so complicated. 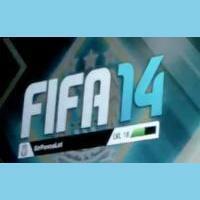 Each of the members in the game has ratings to help you while swapping positions of the players on the field. You have to be careful while doing this, as depending on your team line-up you determine how the game will end. Every player in the game has different skills that characterize him, for example: the ability to strike a ball in three ways, like using a standard, power or bunt swing. There are a couple of power-ups you can use in the game, but for you to earn them, you have to make a couple of strikeouts and homeruns. Like in the real game, here you have also a lot of moves on your disposal, to make your opponents life miserable. There are of course offense and defense tactics for you to apply, like a slow underground shot or frozen fielder that will help the players on the base. 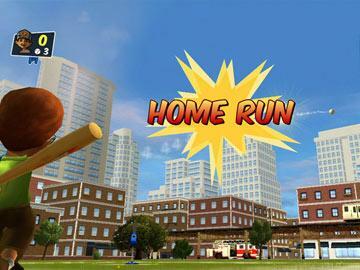 You can also throw an unpredictable screwball or a fastball which will make the opponents wondering what just happened. Besides the general gameplay, there are also a couple of mini-games for additional kick to get your gameplay more interesting. If you think the game is so easy, then think again. There will be matches where it would be a child’s play to win it, but then again, the games AI gives a run for your money, and you will get lucky if you will be able to win it. In some cases the game applies mercy rules, and the game ends a match earlier then normally. In cases of struggling with the opponent, there is a way for you to take the advantage again, but that requires perfect timing to be able to achieve a home run. You need to use a power swing and hitting it in the right moment, in the right direction might just do the trick. All in all, it’s a great game to experience for young and adult, but especially for kids, to introduce them in a sport they might just be fond of for real and have a slight insight of how it can be fun, but also a challenge to play a game that is all about competitor’s spirit.